I love Eyeliner; eyeliner is my go to look. Anytime I had eyeliner my eyes would look like their dressed up! The only eyeliner I have ever wore up until this point was black; because that was the only color I thought was out (crazy of me right?!) Anyway lately I've seen many girls wear different color eyeliner, mainly on YouTube; so I knew immediately I would have to try it. After a while I forgot all about them, until Christmas of 2012 when I received them. I was so excited because my Mom didn't even know I wanted them; now that I am thinking I didn't even ask! 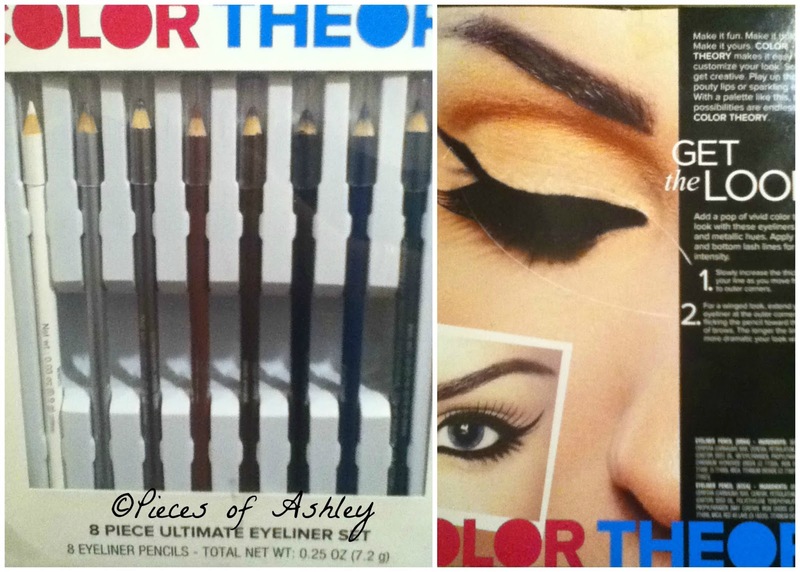 I hope you enjoyed reading this post and I can't wait to try this eyeliner set! I was thinking about this set and could not decide if I should buy it but it looks pretty cool so maybe I will give it a try. Thanks for the information. Your have a lovely blog by the way and I am a new follower! Hope you will like my blog and follow back! I haven't heard of this brand. Do you know where they are available? When you try them can you tell me if they glide on or if they are more of a waxy consistency? Glad you got the pics to post. :)If you shop the Beauty section at Victoria's Secret when they have their clearance sales you can usually pick up some fun colors on the cheap. I got a double ended silver glitter and smokey purple liner for $3 at the last sale. I received them as a gift, but I saw the same brand at CVS and Macys before. The one I saw had lipstick, blush, eye shadows, and maybe more. :))) lot sof colos in the pack *_*...are they waterproof???? Yeah, there are a lot of colors. No, unfortunately their not waterproof. What's this amazing eyeliner set!!! This set looks pretty cool!